Abstract: Atrial fibrillation (AF) remains an important clinical problem with severe complications such as stroke, which especially harms those with risk factors as calculated by the CHADS2 or CHA2DS2-VASc. Until now, no therapy has proven 100% effective against AF. Since the left atrial appendage (LAA) is the most prominent nonvalvular AF-related thromboembolic source and (novel) oral anticoagulant [(N)OAC] carries the hazard of bleeding, LAA occlusion may be an alternative, especially in patients who are ineligible for (N)OAC therapy. 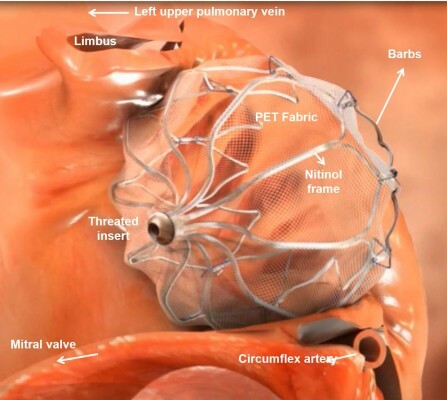 In this review, we discuss several LAA occlusion techniques with a focus on the Watchman device since this device is the most thoroughly studied device of all.